One of the most under-rated and under-used features of Windows 10 is the Quick Access Menu. This is the menu that appears at the top left of the File Explorer (formerly known as Windows Explorer). It’s called Quick Access because it gives you quick access to your most often used folders. In the example below we placed a shortcut to one our most accessed folders on the Quick Access menu. 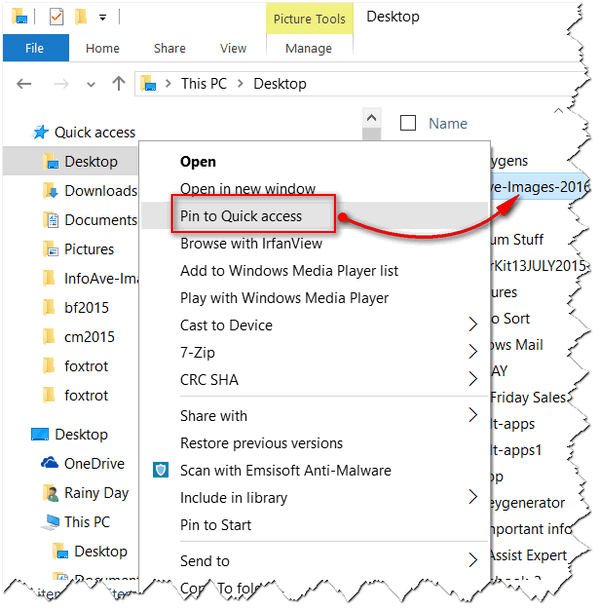 While it does look like a folder in the Quick Access menu, it’s just a shortcut to the actual folder – wherever on your computer it may be. Quick Access gives you quick access to the folders you use most, but only if you use the Quick Access. Above: We right-clicked a folder called “InfoAve-Images-2016” an chose “Pin to Quick Access”. 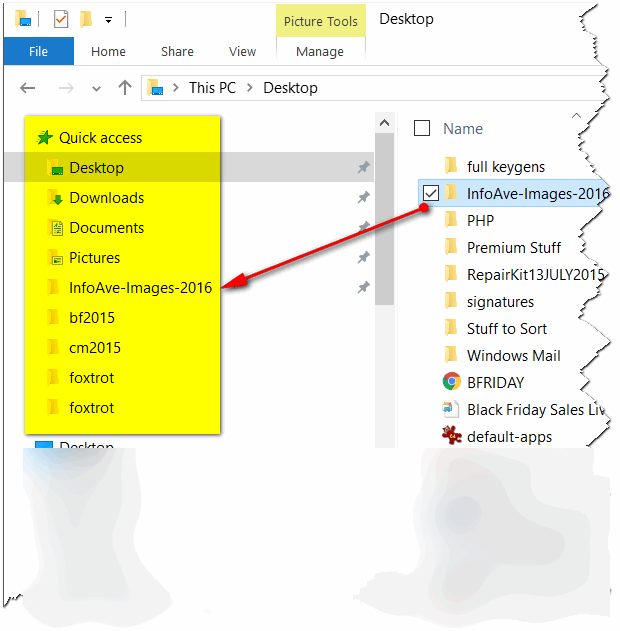 Above: We successfully pinned the folder “InfoAve-Images-2016” to the Quick Access menu. Notice the folder remains in its original location. The folder was not moved – a shortcut was created in the Quick Access menu to the folder we pinned. Use Quick Access – you’ll like it!